Great Lakes Lacquer is releasing yet another stunning shade for the Polish Pickup. This month's shade is called When All Other Lights Go Out. While this may not be a fandom I'm familiar with, I can certainly get behind this beautiful shade! Finish: White crelly with gold to bronze to silver multi chrome flakie, gold shimmer, and flashes of blue to purple to bronze fleck. 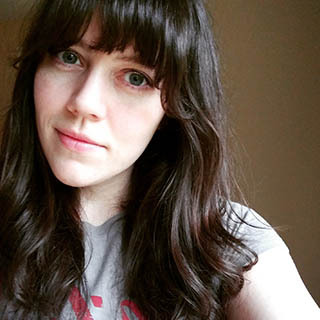 Notes: I really love neutral shades that pack an extra punch. Great Lakes Lacquer When All Other Lights Go Out is a must have in my opinion. It's complex, but low-key enough that it shouldn't get you in trouble if you work in a more conservative field. 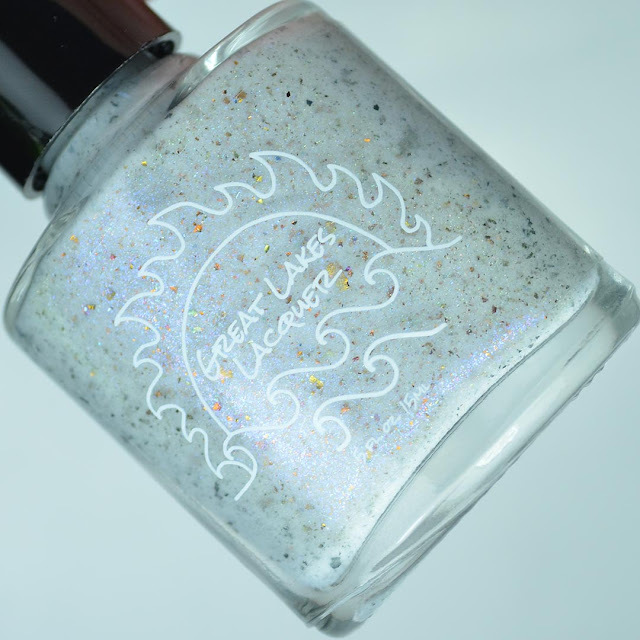 You can purchase Great Lakes Lacquer When All Other Lights Go Out from the Polish Pickup starting tomorrow, November 3rd. This will be available through November 6th. If you enjoyed this post you might like Great Lakes Lacquer Holo-maniacs #31 and 31dc2017 - Thermal Flowers feat. Great Lakes Lacquer Festival of Fantasies.